Pest Control Company Sacramento: Do You Have Mice In Your Home? Mice are not uncommon in California by any means. When these little critters are searching for food, water, and shelter, it’s not unlikely that your home would be a pretty enticing location. For the most part, mice look for cool locations to reside as they associate lower temperatures with water. This is why it is not always obvious at first when you have a mouse problem. Rodents are almost always hiding well, in places that you probably do not frequent that often. 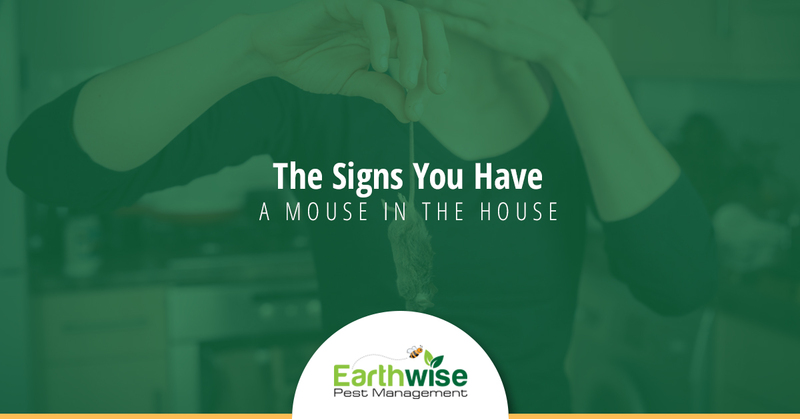 So how can you know if you have a mouse or more in your house? We can fill you in below. You may not have known this about these tiny rodents, but mice do not mind waiting around. Whether it is a door you have left cracked open while you’re bringing in the groceries, or hiding in a box of summer clothes that you packed up at the beginning of winter. It doesn’t matter how long they have to wait so long as there is a promise of their next meal. Because of this desire for food, however, most commonly mice nests will be found in cabinets near your kitchen, or even in your pantry. Additionally, mice need very little room to invade a space. If there is an opening the size of a dime, they can access spaces in which you would never think to look. So how can you tell if you have a mouse problem? There are rodent droppings around your house. They are usually black in color and ¼ to ½ inch long. You may also notice rodent urine, but this is harder to detect as a black light is needed. You may notice that there are chewed electrical, cable, or computer wiring. This can often lead to electrical fires starting so it’s important to keep an eye out for these signs. If you see that there are chewing or gnawing makes on the carpet, drapes, upholstery, furniture, baseboards or other areas of your home, chances are they are have been made by mice. That is, of course, unless you have a pet who has the same pastime as rodents. If the packaging that your food comes in has been chewed through, you have mice. Plain and simple. Where else could mice be hiding other than your kitchen? While it would be nice if we could eliminate other rooms in your home as spaces where mice might be hiding, we simply cannot. There are plenty of other locations that you may find signs of rodents. Check these specific locales first as they are the most common. You might want to take a more in-depth look at your attached garage or any storage area that you may have in your home. This is an especially enticing place for a mouse to live if you have storage boxes, pet food, or a good amount of clutter. Bathroom cabinets also make a nice home for a mouse nest as they are dark, secluded, and are not often disturbed. Mice also tend to be fond of utility rooms where they can hide out under washing machines and dryers. If you have firewood stacked near your home, mice will build a home there in no time. Be sure to move this wood away from your home to lessen the chance of a mouse finding its way inside. Need help getting mice out of your home? If you think you may have a mouse problem in your home and you need the help of a professional pest management team, we would be happy to assist you. Earthwise Pest Management has been serving the Sacramento area long enough to know how to get the job done right the first time. Contact us today to learn what services we can offer you.